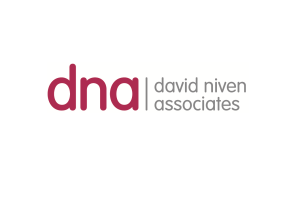 David Niven Associates is primarily a training and consultancy company offering services to statutory, voluntary and private sector organisations in the social care sector. One of the things that I offer through David Niven Associates is media training, both basic creation of a media plan for individuals or organisations as well as a plan of what to do and how to manage situations in a crisis where your reputation is at risk by hostile media. It’s often struck me that many social services departments could really do with rethinking how they deal with the media. My view is that the media in all its forms is the window on the world for 99% of the population – whether they use broadcast, written or social media. When there’s a crisis, and journalists go to spokespeople for comments, often local authorities especially confuse confidentiality with secrecy. There are plenty of ways to share information and get points across without compromising people’s privacy. On the other hand there have been numerous occasions when journalists have asked me “do you think you could get me somebody who has been sexually abused for the 6 o’clock news?” or some other such similar, thoughtless demand. Taking instances of journalists and social workers – I really feel there should be social work input on journalism training courses and vice versa on social work training courses from journalists. Understanding each others worlds and having discussions about boundaries would be very sensible. I’d like to see far more basic grade social workers being training and being allowed to speak to the media. The front line voice is clearly missing and I feel it would enhance peoples understanding of the work and allow people to identify more with real people in the profession. I also think it would probably help demystify many of the mistaken public perceptions about social work. The media genie will never be put back in the bottle and the whole way that we collect information and determine what is in the public interest is changing extremely rapidly. There are many things that we think that each other wont be able to bear, but eventually we have to come to the conclusion that living together is all about compromise. The alternative is continued tension, continued ignorance and much angst in a shrinking world.